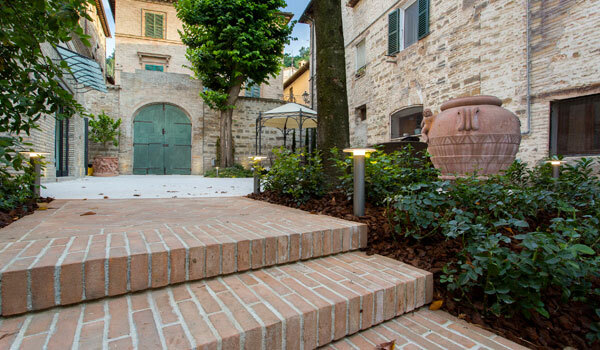 Piazza del Popolo is the heart of the town centre in the magical town of San Severino Marche, considered one of the most beautiful squares in Italy. 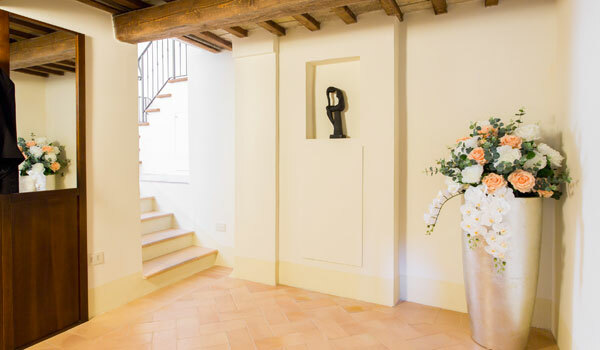 It's exactly here that Palazzo Gentili faces out onto; a residence from the 16th century transformed into an accommodating and elegant structure and, after attentive restructuring, original characteristics such as furnishings and details remain unchanged. 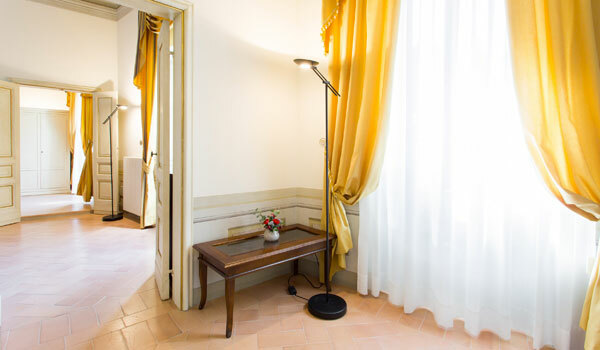 Everything necessary to offer guests the experience of staying in a place saturated in history and art along with the comforts of a luxury hotel. 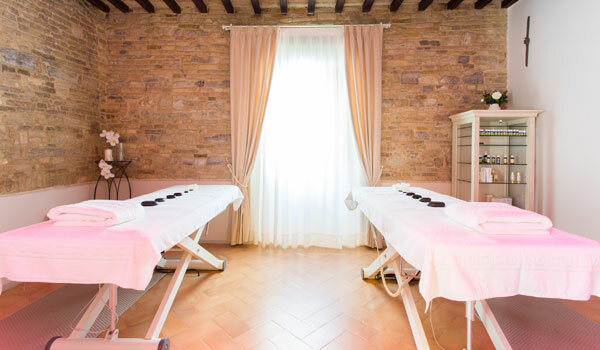 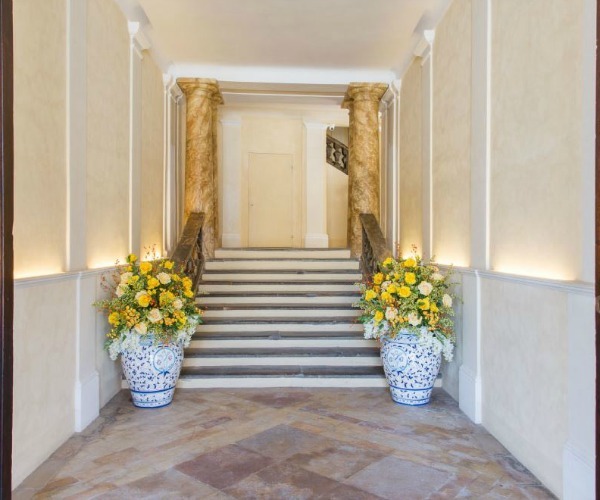 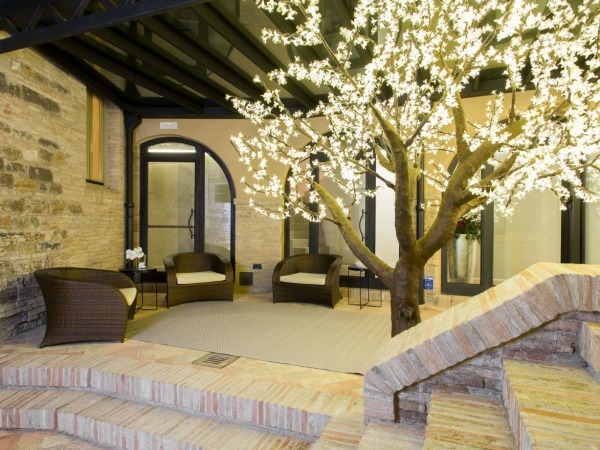 The beautiful internal garden and elegant period rooms render Palazzo Gentili suitable for events and ceremonies but the real gem lies in the transformation of the oldest parts of the building into a Spa; perfectly equipped for wet treatments, massages and body treatments. 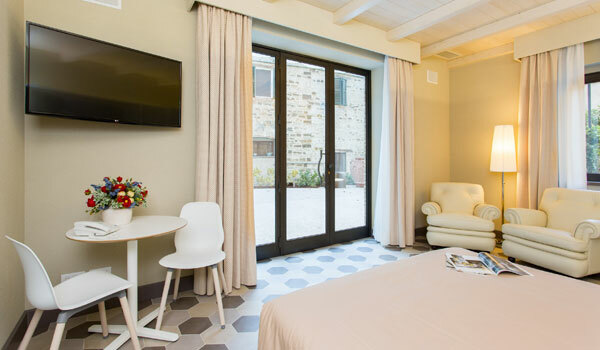 In the centre of a vast territory, rich in history and solid culinary traditions- those that wish to reach San Severino Marche and Palazzo Gentili by car can take advantage of free, public parking situated just a short walk away from the hotel. 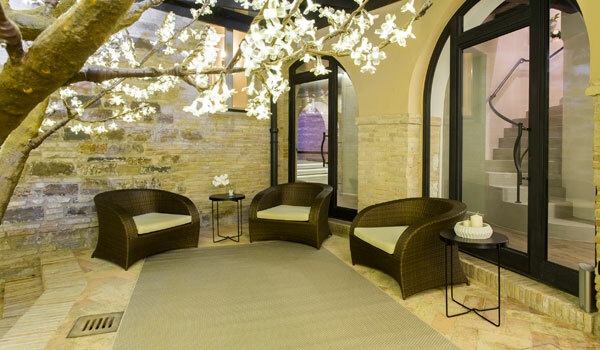 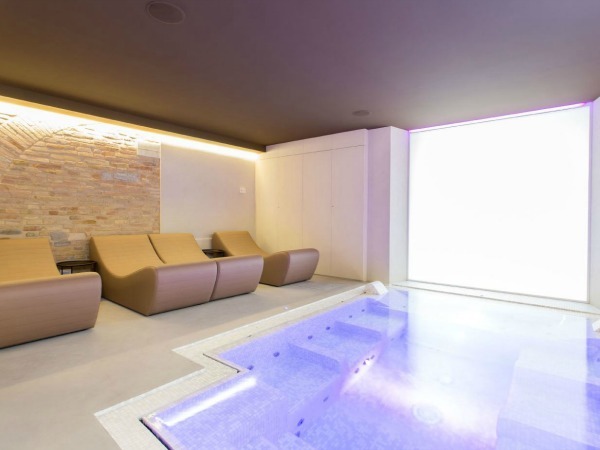 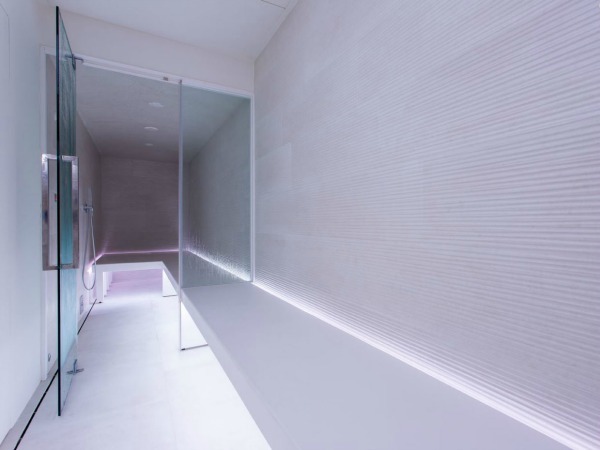 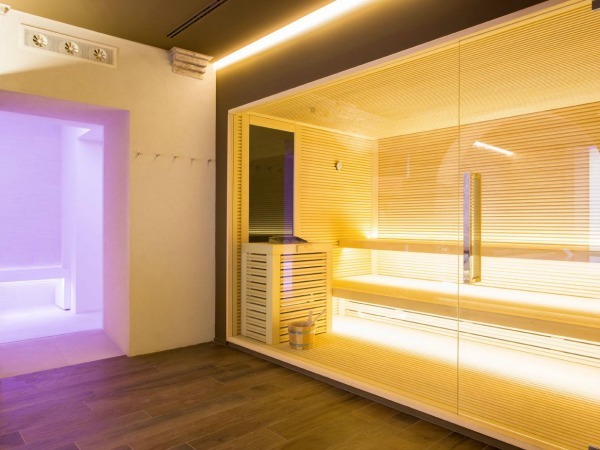 After careful restructuring and remodeling, with respect for the unique architecture of each room, a 220mq Wellness and Spa centre was built inside the oldest, central part of Palazzo Gentili. 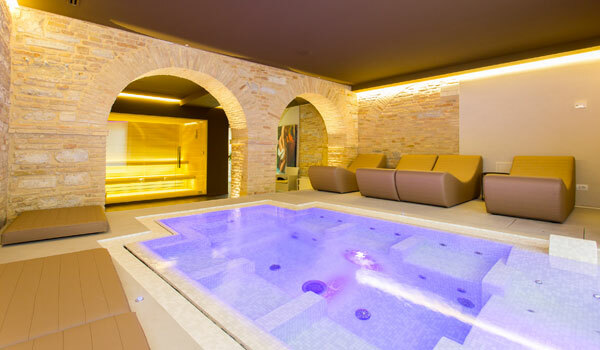 The inner courtyard was remodeled, making up part of the reception and the lounge area, whilst the underground space- now a Hammam Cave but once a cellar- completes the Spa along with: a sauna, Turkish Bath, Jacuzzi with 6 hydro-massage chairs, an air massage lounge, emotional showers and areas for relaxation. 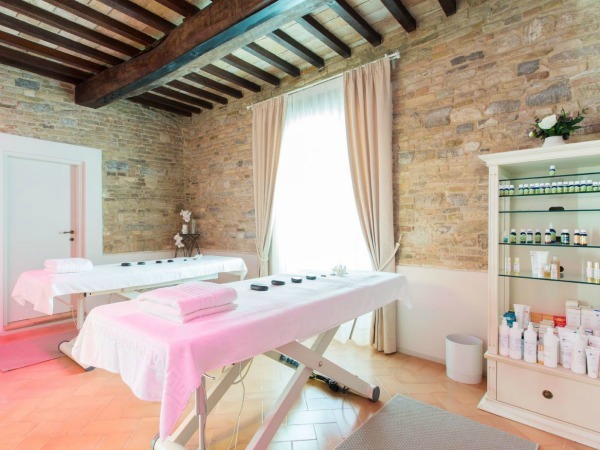 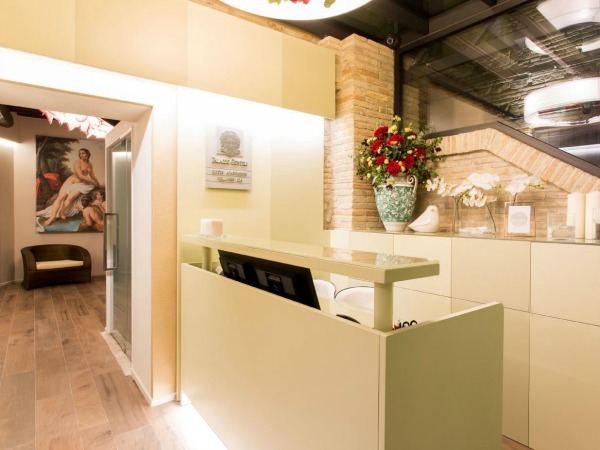 Instead, on the upper floor, a beauty area with 20 different types of massages and 30 different treatments can be found. 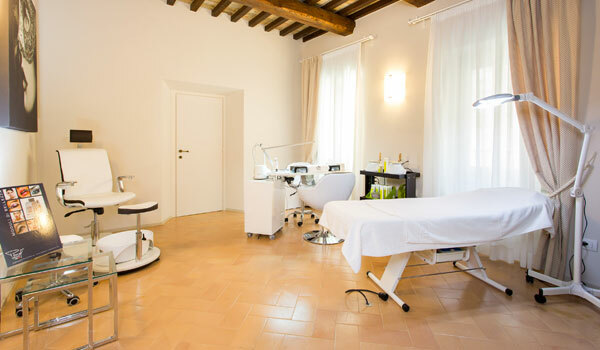 One exclusive treatment among these is Brazilian depilation for all parts of the body. 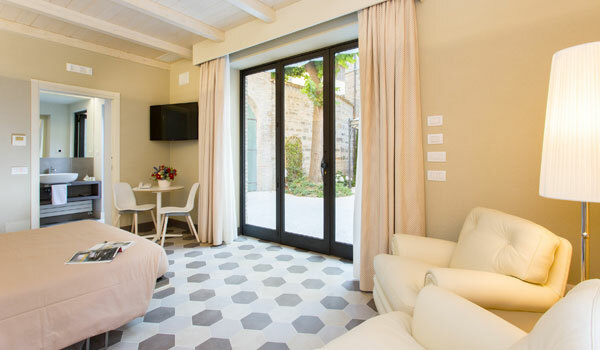 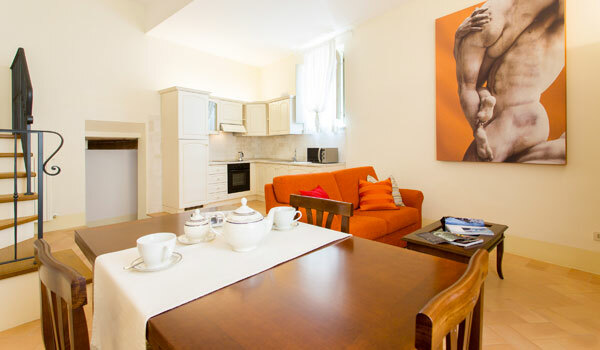 There are 10 independent suites and apartments offered by Palazzo Gentili, all capable of accommodating up to 5 people; characterized by period features like high ceilings and exposed beams. 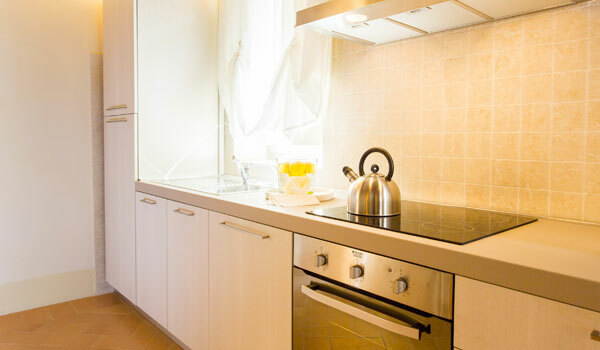 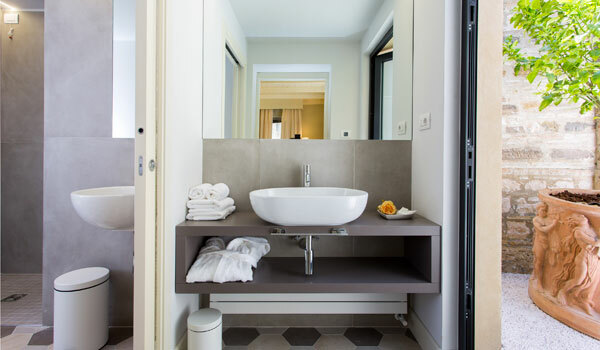 Communal amenities found in all rooms include: heat control, satellite TV, safe box and a free Wi-Fi Internet connection. 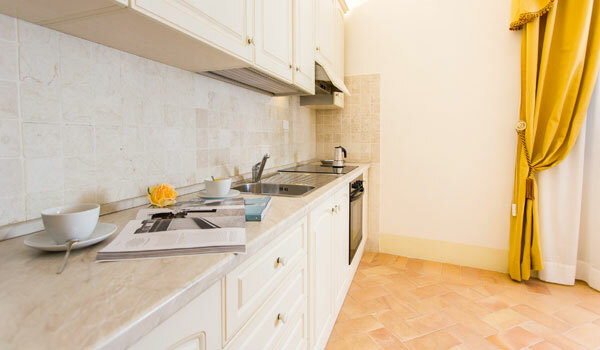 There are no restaurant facilities in loco at Palazzo Gentili but Reception staff are available to direct guests to the best local restaurants in the area. 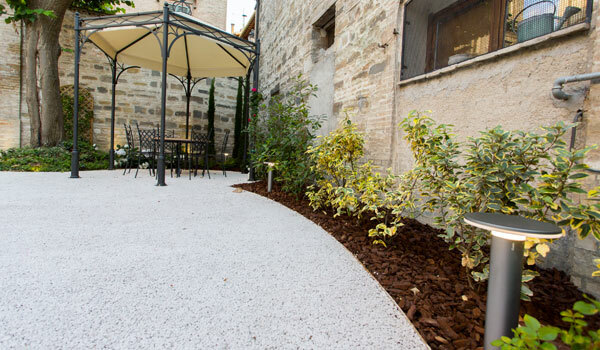 Already a See, after having been a Roman colony and Lombardic dominion, San Severino Marche is rich of testimonies of an Ecclesiastical government, mainly due to the presence of various Gothic churches both in the city and in the surrounding area. 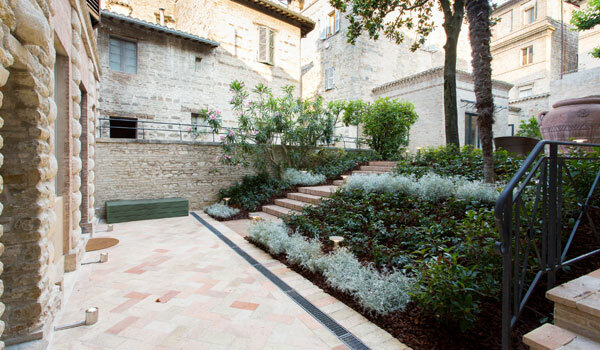 However, outside the city, traces of what was Septempeda- settlement from the 2nd century BC, said to be the origins of San Severino- can be found as well as the remains of a thermal system. 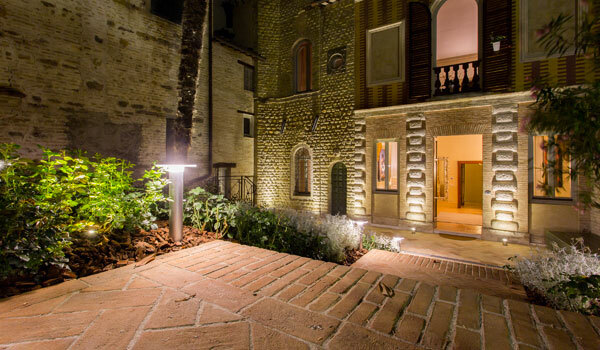 Moving a few kilometers to the north-east of the city, one can admire the ruins of Pitino Castle- founded at the time of the Barbarian invasion and rebuilt in the 13th century, it was one of the most important defense fortifications in San Severino Marche. 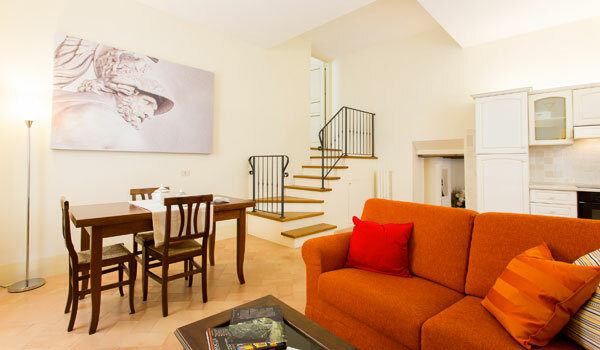 To add: Urbino- the "ideal Renaissance city"- considered an architectural gem but also a guardian of major works of art; Pesaro, birthplace of Gioacchino Rossini; S. Marino, with its ancient squares, buildings, museums, churches and medieval stone houses- preserving the main characteristics of the period in which they were built- are all worth visiting.